We are proud to offer new lines of Color Enhanced Mulch and Bagged Products. See our full line of products below! There is a $15 minimum on all landscaping products. Use This calculator to calculate the amount of soil or mulch needed for your project. Our specially blended soil mixes provide just the right mix of organic materials to provide a perfect home for any flowers or fruits. This is not an ordinary top soil. 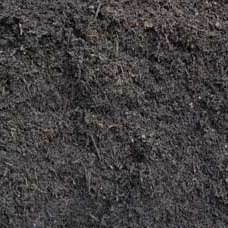 Premium Soil Mix is a wonderful blend of our uniquely rich compost and cushion sand, producing a near perfect growing media. Because it is a velvety smooth, flowing and weed free soil, it is ideal for leveling established lawns and beginning new ones. This mix is superior to ordinary top soils because of its ability to retain just the right amount of moisture and nutrients, while providing trace elements essential to good root, stem and fruit growth, making it unsurpassed for your vegetable and flower garden. Try a load as the base mix for an ever blooming bouquet of flowers. This is definitely not just top soil. This mix has all the extraordinary ingredients of our popular Premium Soil Mix with the addition of just the perfect touch of Lava Sand. Nature has welled from her heart a material that she knows all plants thrive in... lava. The islanders of Hawaii have long recognized the mystical growing abilities of this wondrous and once flaming rock. Now it's available to you, ready to bring out the hot and flaming colors of spring in your own home landscape. Don't miss this opportunity to provide your gardens and landscapes with Mother Earth's own life -giving volcanic soil. Compost doesn't have to be just ground up trees, and ours isn't. This compost is loaded with a wide variety of uniquely blended ingredients. Not only does it have leaves, trees and grass, but it is also chock-full of thousands of gallons of out-of- date beer, wine and liquor, and oceans of soft drinks. This is definitely not the compost your granddad made. 'We scour the countryside looking for the perfect ingredients to make this remarkably rich work of nature. In the garden beds or lawn, this compost will give your plants the boost they need to bear the biggest tomatoes, brightest flowers and most luxurious lawns. 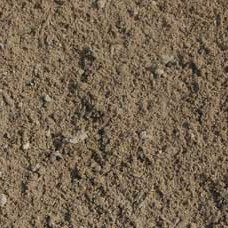 The composition of this unique soil is 75 percent Cushion Sand and 25 percent organic Compost. It’s all blended and screened for consistency, and it is light brown in color. 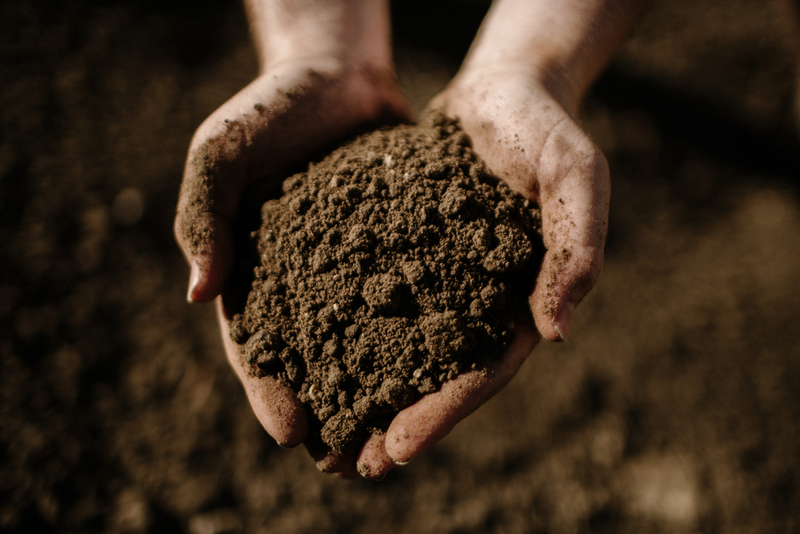 Benefits of this soil include an economic price point, it is similar in characteristics to sandy loam, provides excellent drainage, is great for building up low areas and leveling, contains no rocks, very easy to spread, and is 100 percent weed free. This is a great material to build up low areas and laying sod on top of, and can be used to amend non-productive or poorly draining soils by tilling this sandy material into existing soil. Our Screened Topsoil is run through a 3/4" screen to remove any rocks, roots, and vegetation. The end product is a chocolate brown organic material with a consistent texture that can easily be worked by hand or with machinery. Composition: North Texas native trees freshly ground. It is brown in color. This mulch is ground from living plants and trees, as opposed to dead wood like pallets and lumber. Advantages: Its retains soil moisture, inhibits weed growth, assists in prevention of soil erosion, breaks down over time and adds humus to your beds, light and easy to spread, provides a rich manicured look to your landscape, ground on site, and is the freshest material; it smells great too! Special Notes: Spread 3-4 inches. Not for mixing with the soil, use as a top dressing only. Composition: North Texas Native Trees freshly ground, multiple times. It is dark brown in color and has a very soft airy texture. Advantages: Originates as Native Tree Mulch, but this is shredded to a finer texture by double grinding and more uniform in size. This material breaks down faster, and by the end of the season, it can be turned into soil. Special Notes: Spread 3-4 inches. This material is the choice of many professional landscapers. Composition: 100 percent Whole Cedar Trees from local ranches, ground to consistent size, living green trees plucked whole from the ground and shaken to remove dirt from the root ball, then ground whole to produce the purest cedar mulch available. This is golden in color. Our Cedar Mulch does not come from bulldozed land clearings! Advantages: Fragrant cedar smells from natural oils in the wood, this is an excellent natural insect repellant. Colorful landscapes and flowers really stand out when this mulch is used as the backdrop. This Cedar Mulch will significantly reduce the need for watering and is the best organic weed control available. Special Notes: Spread 3-4 inches. Longest lasting of our mulches. Composition: North Texas native trees freshly ground. It is a deep brown color. This mulch is ground from living plants and trees, as opposed to dead wood like pallets and lumber. Advantages: Its retains soil moisture, inhibits weed growth, assists in prevention of soil erosion, breaks down over time and adds humus to your beds, light and easy to spread, provides a rich manicured look to your landscape, ground on site, and is fresh material. Applications: Flowerbed and garden top dressing. Composition: North Texas native trees freshly ground. It is a rich black color. This mulch is ground from living plants and trees, as opposed to dead wood like pallets and lumber. Composition: Freshly ground, it is a blazing red color. Advantages: Its retains soil moisture, inhibits weed growth, assists in prevention of soil erosion, light and easy to spread, provides a rich manicured look to your landscape, ground on site, and is fresh material. Our extensive lineup aggregate and rock products means that Silver Creek can fulfill all of your decorative, structural, or road needs. Composition: Pure Lava Sand that we truck in from New Mexico. It is fine in texture, consistent in size and vibrant red in color. Applications: This is a highly versatile material; some of the uses are soil amendment projects, decorative pathways, picnic areas and landscape accents. Also, we suggest you till this in with clay soils, which helps with aeration and drainage. When using as a soil amendment to your lawn and garden, we suggest you apply 40-80 lbs per 1,000 square feet. Composition: Earth-toned smooth round rocks, varying in size from 2 inch to approximately 4 inches. Applications: Outlining pathways, decorative landscapes, decorative ponds, borders, erosion control and septic systems. Composition: Made up of several types of rock such as quartz, granite, flint and gravel. Varying in size from 1 inch to approximately 3 inches. Applications: Decorative rock that is perfect for beautifying pathways, landscapes, ponds and borders. 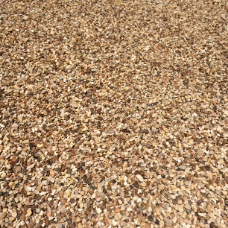 Applications: This is a great material for decorative driveways, pathways, French drains, playgrounds and picnic areas. It also can be used in the bottom of garden planters, containers, pots and flower boxes for drainage. Composition: This is a blend of brick sand and mortar gravel; its ready to mix with cement. 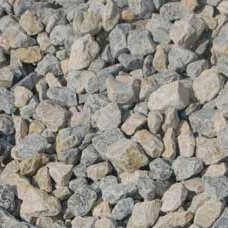 Applications: A compactible rock that is best used as a driveway or pathway base, pipe embedment, or can also be used for landscaping applications. Composition: 100 percent crushed White Limestone Rock. Pure washed rock. Applications: This is a highly versatile material; some of the uses are: driveways, roads, parking areas, pathways, picnic areas, decorative landscapes, erosion control and French drains. Advantages: When packed with heavy equipment and applied on a solid dry base, this makes an excellent road base. Applications: Commonly referred to as road base, it can be used for roads, driveways and parking areas. Works best when put over a crushed rock surface and then compacted. Do not apply over muddy areas until they have totally dried out. Composition: This is the ideal blend of sands for brick masons, stone work and construction projects. Applications: Brick and masonry mixes and mortars. Composition: Expanded shale resembles common gravel at first glance; however it has been processed through a kiln at close to 2,000 degrees. It varies in color...typically shades of gray and earth tones. Advantages: This is a permanent fix for heavy clay soils. Tilling in makes clay soils drain and aerate considerably better. The process of exposing this material to extreme heat ‘expands’ the shale, making it porous and useable as a soil amendment to break up heavy clay soils. Applications: Till into flower beds and gardens where clay is the dominant soil. It also can be used in decorative pathways and borders. Composition: 100 percent Crushed Granite Rock. It is golden red in color and shimmers in the light. Advantages: This adds a unique richness to your landscape and is the best base you can use when installing stone floored pathways and patios and stone borders. Applications: It compacts well and does not migrate easily – due to the angular shape of the material, it stays in place very well. Some common uses include foundation fill, driveways, patios (base for pave stone style applications), hike/bike and running walking trails, playgrounds, and decorative landscaping uses. Silver Creek also provides products that help cultivate compost and recycled earth that can be used around the house and yard. For greener lawns, shrubs, and trees. Effective Weed Control must allow moisture and nutrients to pass freely into the soil- Most professionals now understand the ill effects of using a non-porous membrane. Not only is it bad for the planting area, but it also allows runoff of the aggregate on top of it. Provide for the escape of CO2- If the fabric does not breathe properly, a toxic build up in soil can make for a sour and sterile soil. Withstand installation stress- The fabric should be strong enough to withstand the vigorous stresses of application, but any added strength typically means a reduction in air and water flow and "paying extra" for something that you do not need. Block light- Weeds and grasses grow to the light that comes through even the smallest openings, and if you can block the light, weeds cannot germinate beneath. They do not force their way through the barrier, they grow to the light. The proper Spunbond Fabric almost totally eliminates this as they have microscopic openings.